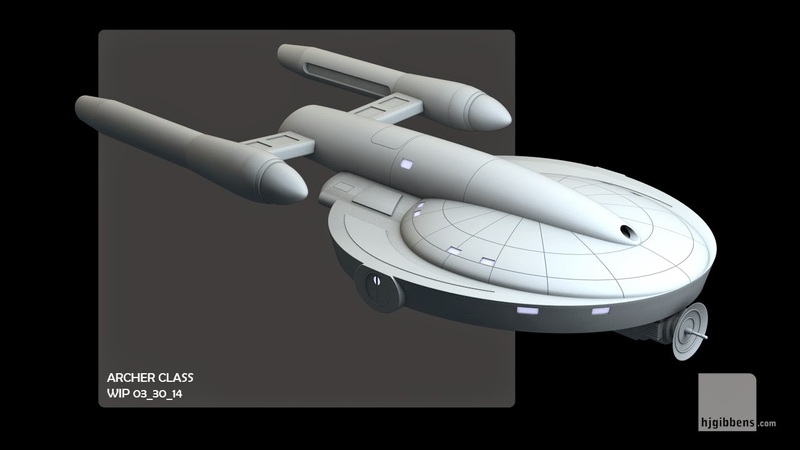 Real life has demanded a bit more of my attention than I would like, hence I am still in the process of trying to texture the Capital Ship which is proceeding at a geological pace. Thought I would post a few images of a couple of projects which are stuck in development hell while I try to find some free time. First up is Masao's Archer Class Scout. 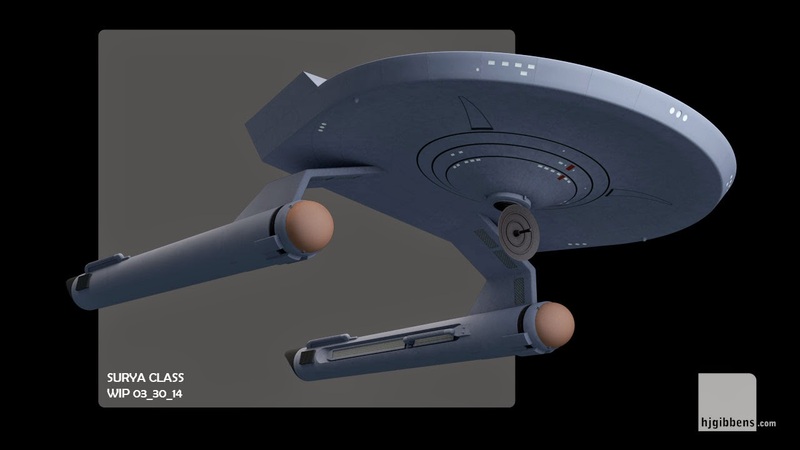 The design was developed for the Vanguard series of novels set in the TOS timeline. 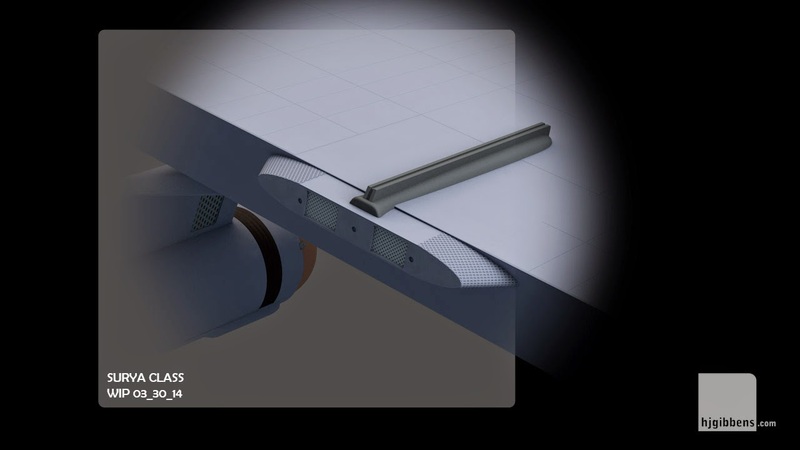 There is a mesh available in Poser format but it proved problematic to convert over to Cinema 4D, so I elected to make my own version. Needs some refining but a good start. 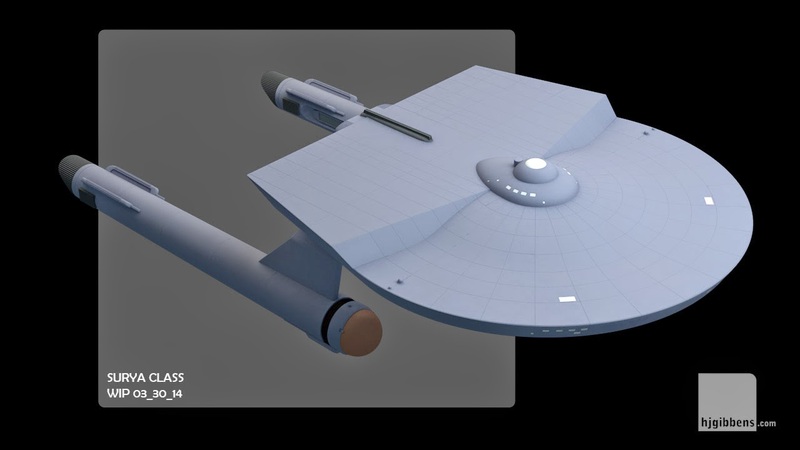 Will probably serve as a springboard to start on some of the other designs over on Masao's excellent Star Fleet Museum. 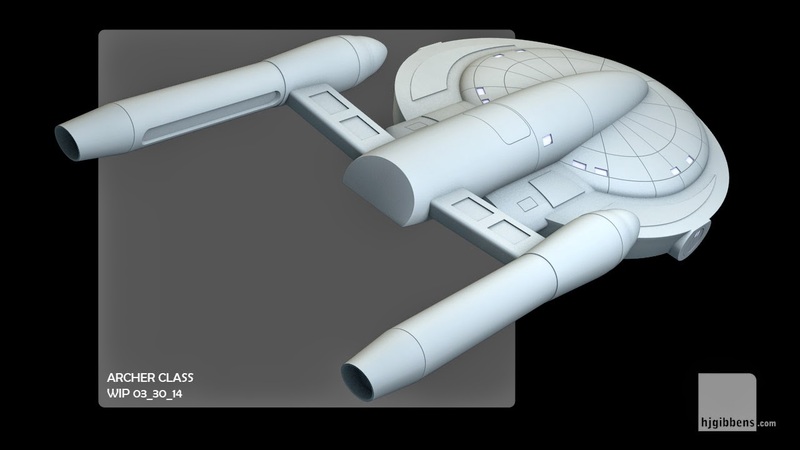 Next up, the first pass at the Surya Class from Ships of the Star Fleet: Volume 1. 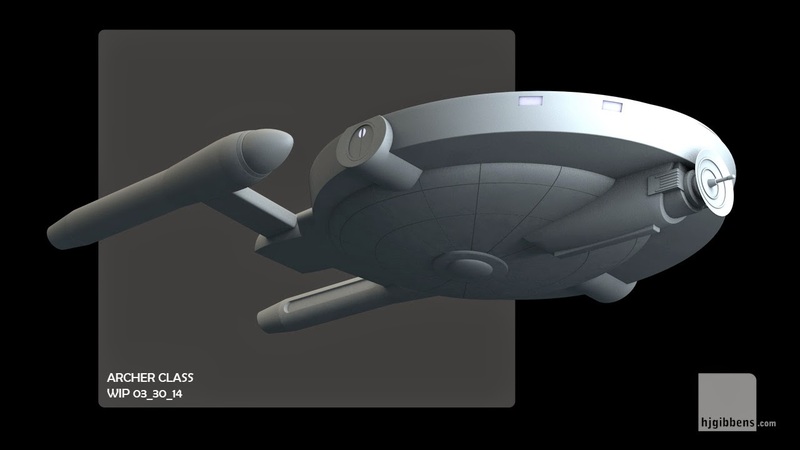 Bill 'Tallguy' Thomas has already done an excellent version of this in Blender which inspired me to do a version for my Cinema 4D fleet. 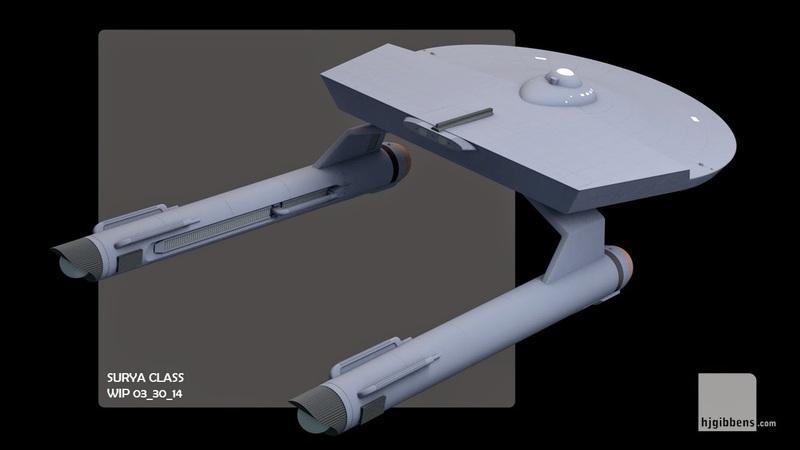 Still need to work out the details on the rear of the extended hull - most modelers go with a prototype version of the shuttle bays seen on the TWOK Miranda class. Also trying to work out whether I put an extended engineering deck on the upper surface, similar to that seen on the Coronado class. 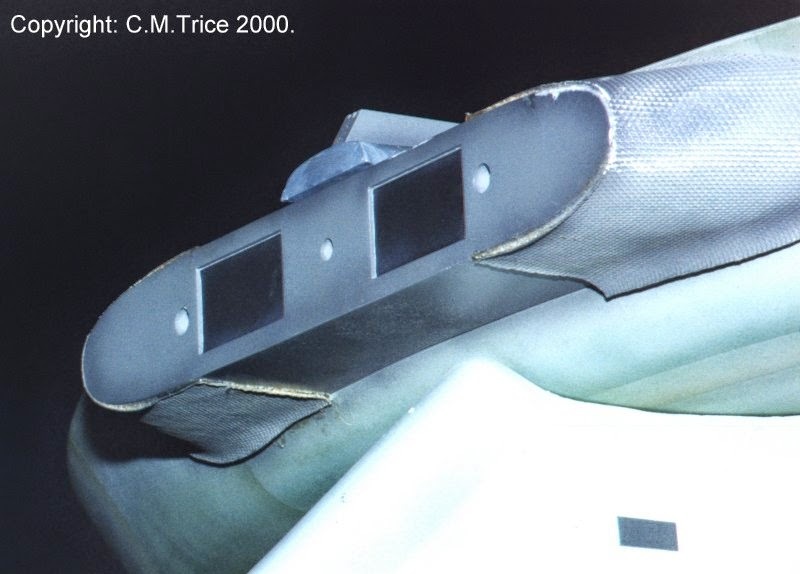 One detail I have finally managed to nail down is the mesh detail seen on the eleven foot 1701 impulse engines. It looks like a fibreglass mesh that has been fitted to the outer curve of the engine - took me a while to work out how to model the mesh then shrink wrap it to fit the curvature. Its excellent as your other posts : D, regards for posting .